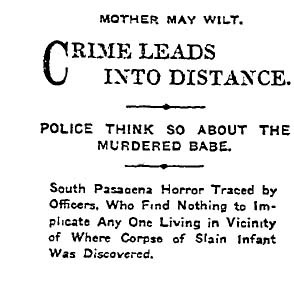 Authorities say the boy, weighing about 14 pounds and less than 10 days old (yes, quite a large baby by today's standards), was discovered by Mrs. J.H. 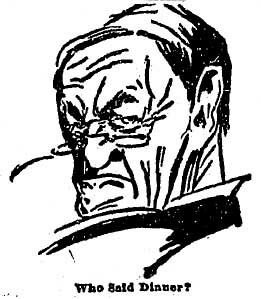 Anderson, whose husband leases the ranch. 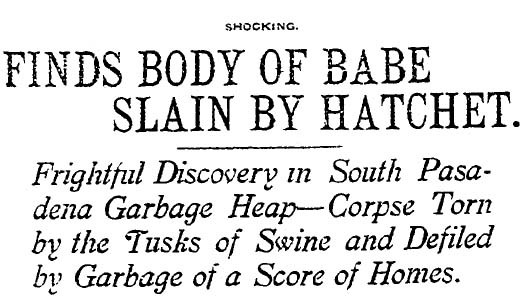 Apparently Mr. Anderson picked up the baby’s body as he made the rounds of about 20 homes gathering garbage to feed his pigs.